Indo-Parthian, Gondopharid Dynasty. Gondophares. 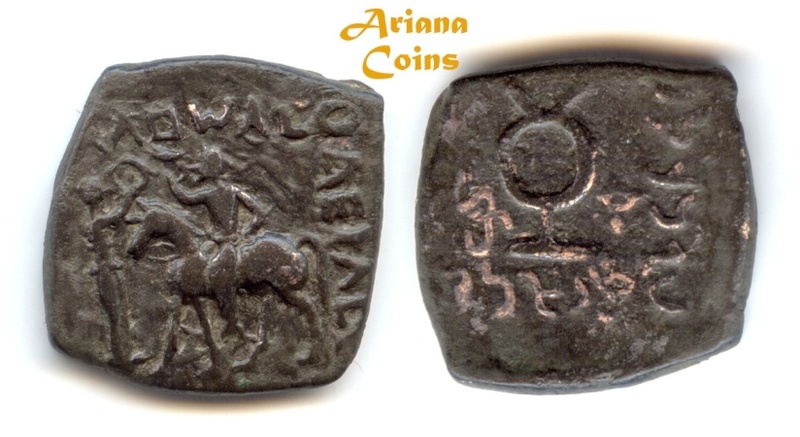 Circa 40-5 BC. AE Half Unit. 19.50mm, 6.16gm. King on horseback left, raising arm, to left, Nike standing right, crowning horse with wreath / Tamgha, monograms flanking. Senior 215.31. Good very fine, brown patina. nice example. Rare this nice, Choice. Islamic, Umayyad, Hisham هشام بن عبد الملك ‎ (105-125h), Silver Dirham.